"I read so much in these days about (Mo Farah) online and it could be nice to add also my opinion. Some are speaking which could be the right tactic to beat him: to be honest YOU HAVE TO WAIT HE WILL BECOME OLD ... the only one solution in my opinion!" - Coach Renato Canova, talking about the best tactics for beating Mo Farah in a distance race. 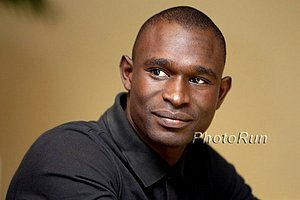 Canova has updated his thoughts about Farah with a post on LetsRun where explains why he doubts Farah could get the 3,000 or 5,000 world record. 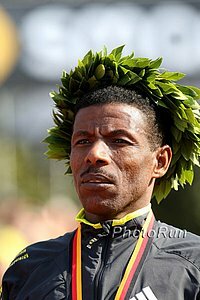 MB:After Mo's 3:28.81, what is the ideal tactic to beat him at 5K/10K? 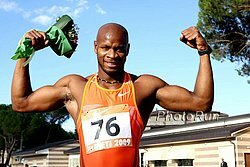 MB: RENATO CANOVA: "HOW TO BEAT MO FARAH?TO WAIT HE WILL BECOME OLD"
Do guys often get better quality wives (looks-wise) if they wait until closer to age 40 to marry? Steve Cram "shocked after witnessing Farah's unbelievable run." Mark Covert takes a day off from running, the First one since 1968!!!!! Recommended Read Renata Canova Reveals The Best Strategy To Beat Mo Farah His strategy: you don't. You wait for him to get old. US's Jeffrey Eggleston Preps For Moscow World Champs With 65:41 Win At Rock 'N' Roll Chicago Half Marathon Dani Fischer won the women's race in 78:33. Fernando Cabada was third in the men's. Nesta Carter: "I'm fitter, faster than before." 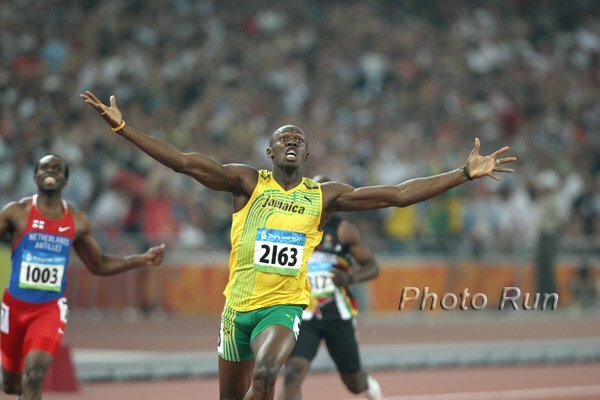 RW: Is Usain Bolt Running Out Of Sprint Rivals For Moscow? No Blake, no Gay, no Powell. 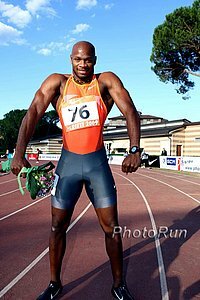 However, he did lose to Gatlin earlier in the year at Rome DL. Seb Coe Says He's Not Surprised UK Athletes Are Having A Lot Of Injury Issues In A Post-Olympic Year "My dad always used to say that coaching me a year after the Olympic Games was a bit like coaching an eggshell." We 100% Agree For Major Offenses: Seb Coe Calls For 4-Year Ban For Doping "We have to go back from two years to four years. The move down to two did a lot of damage to my sport." The Telegraph Goes To Jamaica: Devastated Jamaica Is Struggling To Come To Grips With Athletics Drug Scandal Article says Powell's positive is hitting the island hard as he is probably more beloved than Usain Bolt in Jamaica. $763,000 (£500,000) Appearance Fee For Usain Bolt For This Weekend? Perhaps but numbers given out for athletic event don't often add up. 800: LRC Duane Solomon Comes Through As The Favorite - Picks Up First Diamond League Victory The 2013 world #1 did his normal thing - get out fast and in the end he BARELY hung on for his first DL victory. *Capital FM: Asbel! 3:27.72! How's that for a PB! *How did Andy Bayer make it into Monaco 5000 DL over Hassan Mead or Bumbi??? *Breaking news: Farah's 3:28 bodes well for Rupp's 5,000? *What does AlSal have to do to become GOAT coach. Is he GOAT already? *How does Matthew Centrowitz feel being beaten by Mohamed Farah? AK Chairman Isaiah Kiplagat Speaks Out Against Kenyan Teachers Who Are Apparently Working With Agents To "Sneak" Youth Athletes Out Of The Country Kiplagat: "We have received reports about athletes who are stranded in Venezuela, Philippines, Mexico and Italy and we at the federation are just wondering how they got there without our permission. "What Food Did Olympic Champions Eat At The 2012 Games? Usain Bolt ate a McDonald's chicken wrap just before winning the 100 in 9.63. LRC Catching Up With The Olympic 1,500 Silver Medallist Leo Manzano In MonacoWe sat down with Manzano this morning at his hotel in Monaco. Still sponsorsless, Manzano seems to be in a great frame of mind and is very much looking forward to racing tomorrow. With 40 Doping Positives In Recent Months, Russian Nationals Begin With Them Battling A "Doping Image"